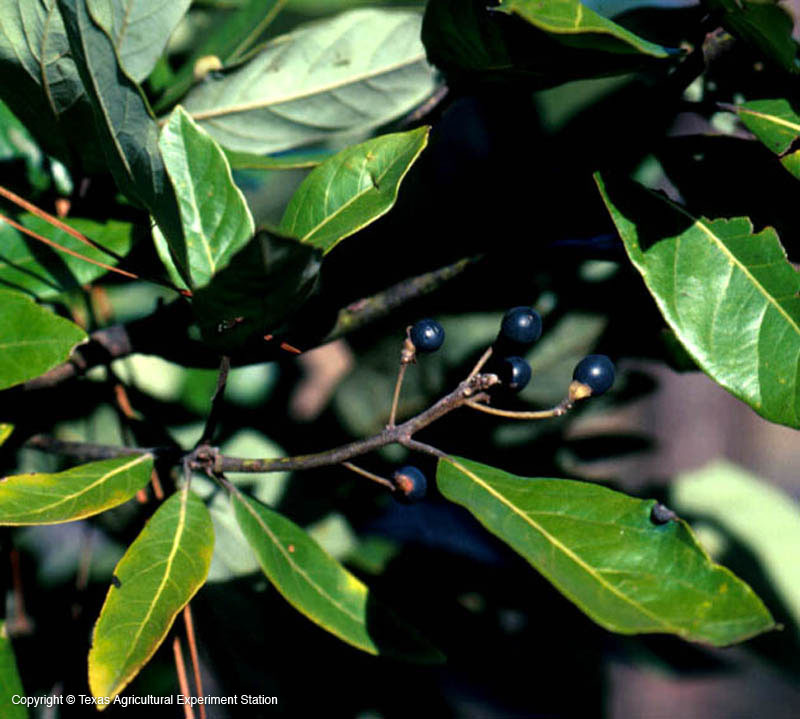 Red bay is a small evergreen understory tree that grows along streams and in woods and swamps in southeast Texas. There is also an isolated population in central Texas. It has attractive medium green foliage, good oval to rounded form, and resistance to pests and diseases. The fragrant foliage (bay leaves) is used to flavor soups and stews.